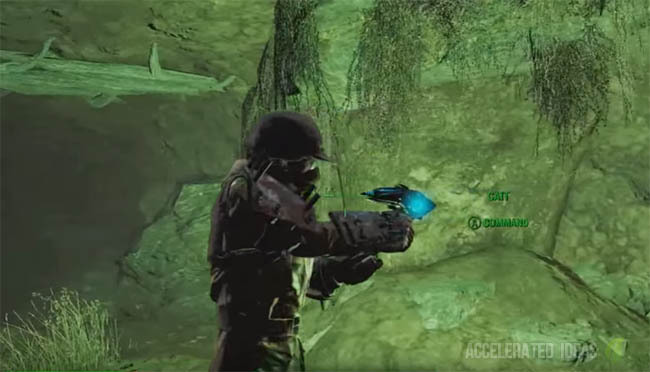 The Alien Blaster weapon is one of the rare weapons in Fallout 4 that can only be found by following a series of steps at a particular location. In this guide I'll show you the exact location of the Alien Blaster weapon so you can claim it for yourself. 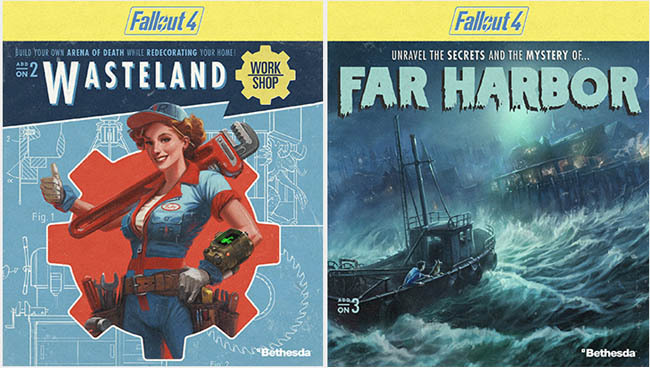 We all knew that aliens were going to be in Fallout 4 as soon as Bethesda published the artwork online. There was the UFO underwater shot and also a glimpse of the alien weaponry that players might uncover. The Alien Blaster is one of the high value items in the game; I think it's over the 1500 value mark which puts it well above other weapons. Players should note that I think this weapon is a random drop, based on RNG and your luck rating. You might not find it so be warned before following the step by step guide below. Hopefully though you'll be able to trigger the same events as I did. First of all, head to the southeast corner of the map shown in the image above. 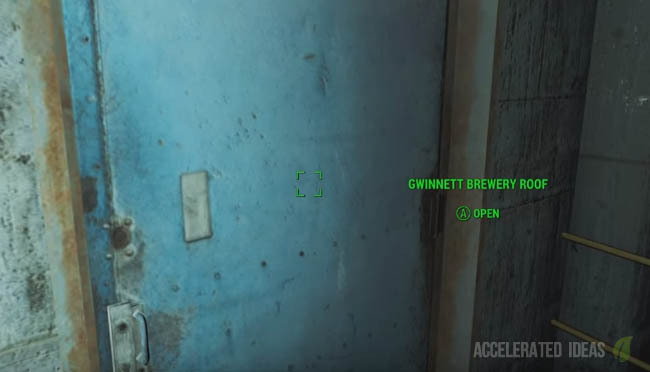 The location of interest is Gwinnett Brewery which is just East of Diamond City. Venture through the brewery and towards the back door, then ascending to the rooftop area. Hopefully, entering through the door to the rooftop has triggered the event so look to the sky and wait for the Alien crash landing (it's quite quick so watch carefully). This event may not appear, it all depends on your luck and RNG. My luck level was 6 so that may be a factor but I'm not sure. Head to the location shown on the image above. It lies between Oberland Station and Cambridge Polymer Labs. If you don't have either of those markers, make your way south west of Cambridge Police Station or south east of Graygarden. 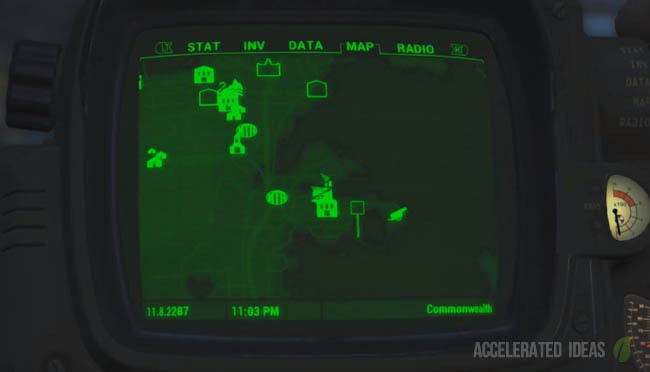 Alternatively you can try and track the UFO yourself based on the crash landing from the sky. At this point you might think that this is a simple Easter Egg, well it's not because there's something else to find here. Walk up to the side of the crashed UFO ship and you'll see green blood stains on the ground. Follow these blood stains across the map which eventually lead to a small cave. 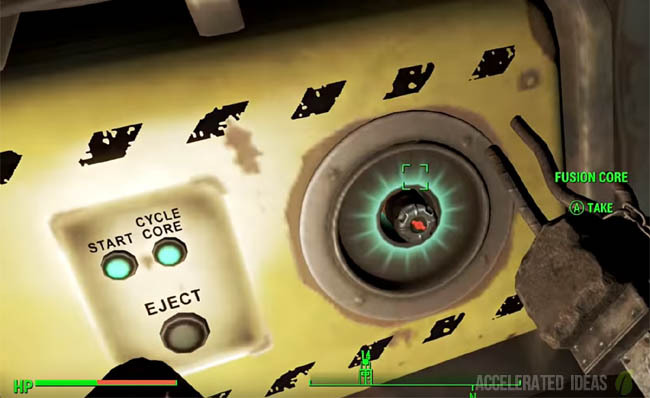 This is the next step on your path to finding the Alien Blaster weapon. Enter the cave and follow the short path leading to a dead end. There should be an alien waiting for you; don't worry this guy is extremely easy to kill. So blast him in the face and check his corpse for the Alien Blaster weapon. It has a value of 1551, a fire rate of 100 and a damage rating of 57. Not bad huh!? Congratulations you now have one of the best rare weapons in the game!! Where to find more ammo? The dead alien you loot in step 6 only provides 449 bullets for the Alien Blaster. So far, I haven't found any additional UFO crash sites to stock up on ammunition but I'm guessing there must be more...maybe even a way to craft the ammo yourself. As soon as I find out I'll be sure to update this post showing you the exact location with steps if necessary.